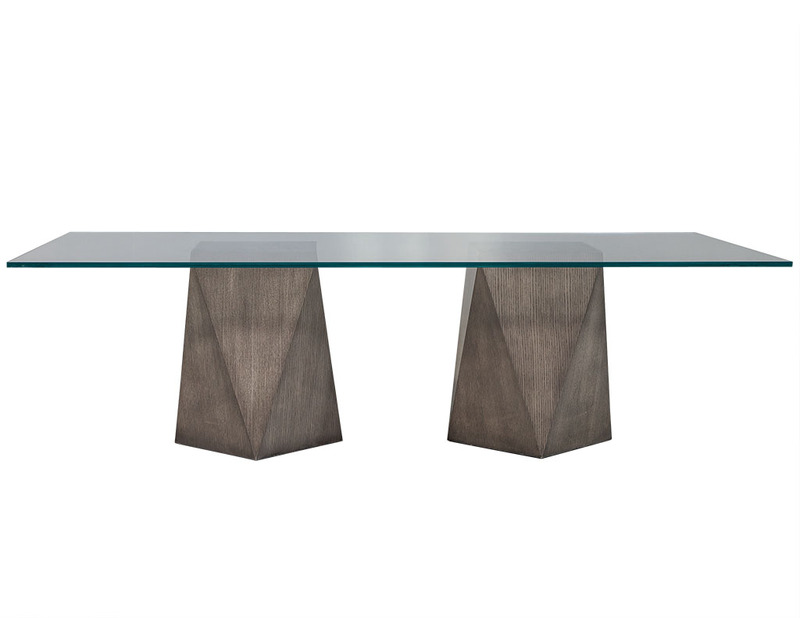 This ultra-cool dining table is part of the Carrocel Custom collection. 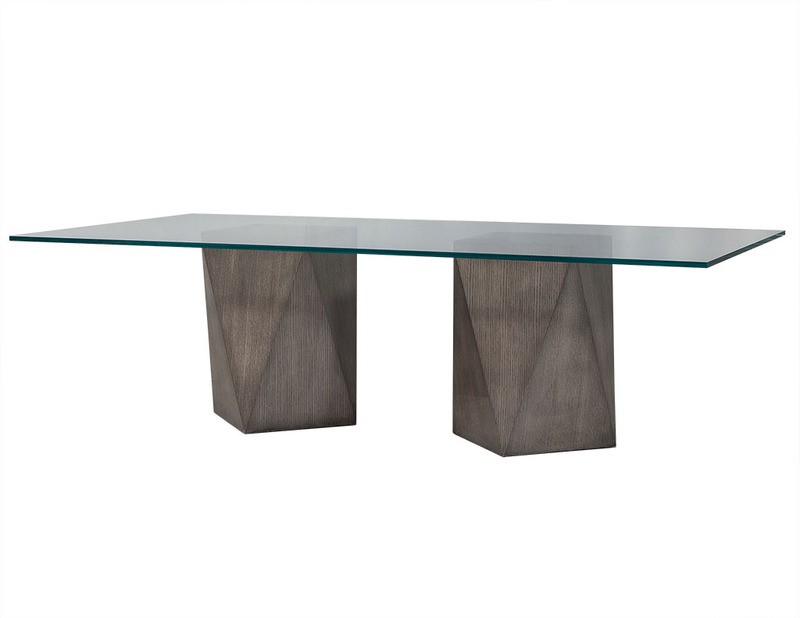 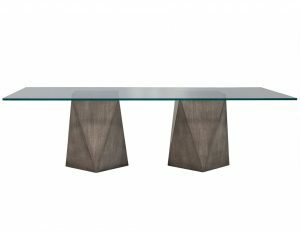 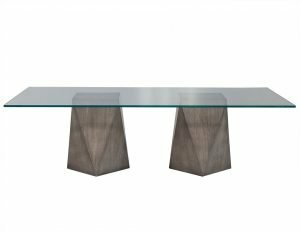 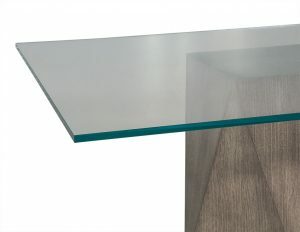 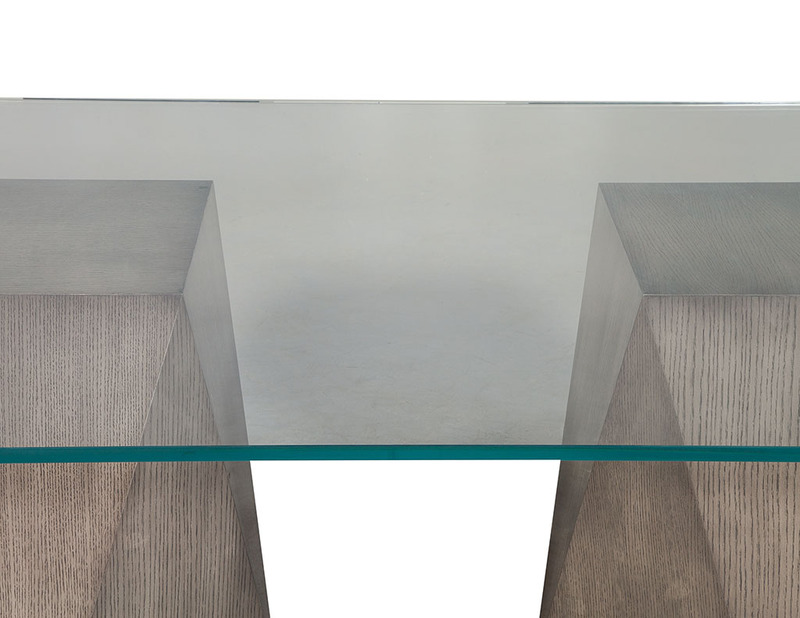 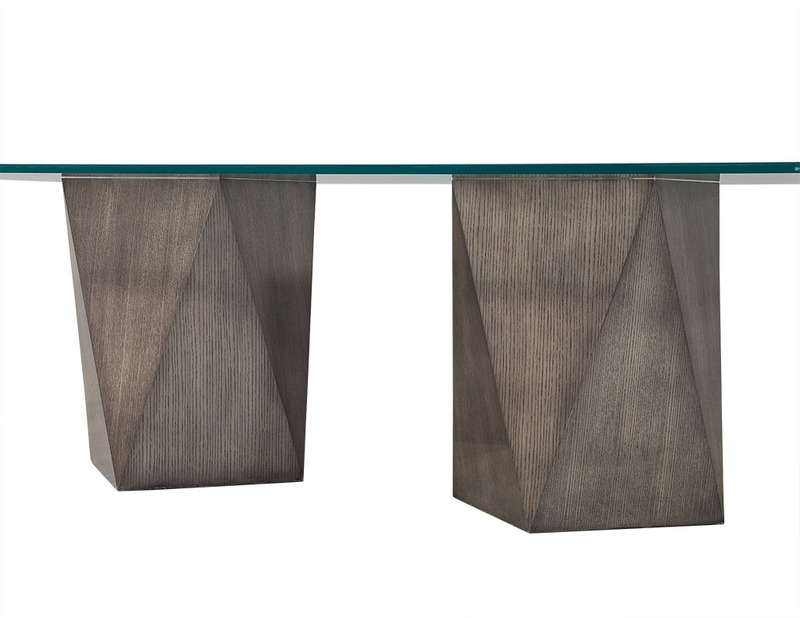 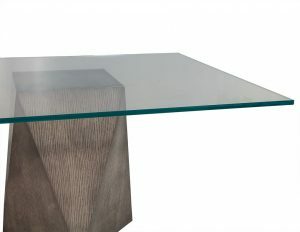 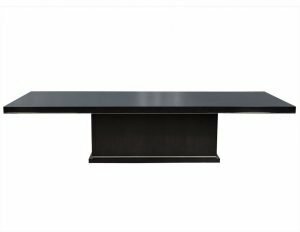 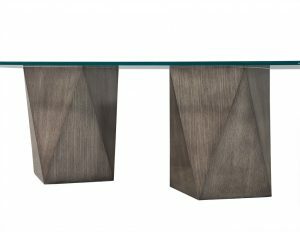 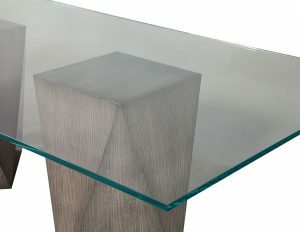 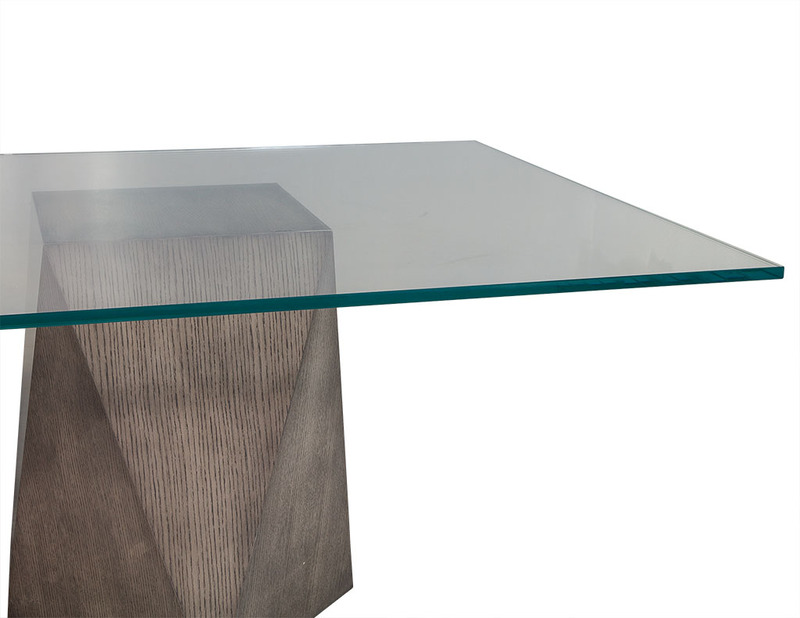 The tabletop is tempered glass with polished edges and sits atop two pedestals carved into a geometric 8-sided triangular design with a bleached grey finish. 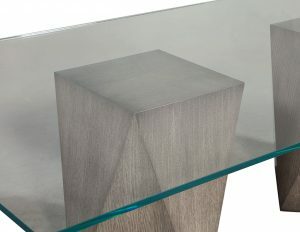 The piece can be ordered in custom sizes and different finishes, making it a great choice for any home.